The first installation of the new Winbosc Cloud hybrid press has been confirmed, with Chinese printer Matsuoka Printing signing on as the first customer as it enters the digital label printing market. 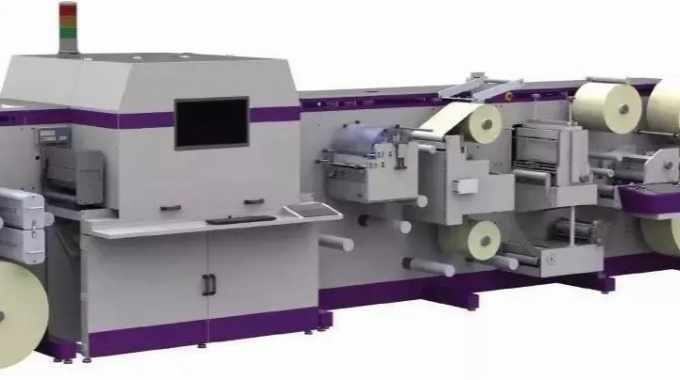 Cloud was introduced earlier this year as a hybrid label press combining inkjet and multiple conventional processes to meet current trends in the Chinese market. The hybrid line is available with printing widths of 110/220/330mm, with two speed modes – 50m/min (HD) and 76m/min (common). It can handle labels materials in a thickness range of 20-400mm. The inkjet element uses Konica Minolta printheads with a resolution of 600 x 600dpi achievable. Conventional processes include flexo printing, hot stamping, die-cutting and waste removal. Available on-press processes include unwind tension control, registration control, web cleaning and corona treatment. These combine to create a fully automatic production system from printing to finishing. Established in 1992, Matsuoka Printing mainly engages in the printing of commercial bills, financial data, package and decorations, plastic films for packaging and publications. Before deciding to purchase Winbosc digital label press, Matsuoka Printing undertook a review of the market and technology as it sought to invest in its main production line for the future. The rapid growth of internet technology in China is driving the development of e-commerce and other electronic activities, such as billing, etc. Under such circumstance, Matsuoka Printing has reacted with the decision to explore the digital label printing market. Matsuoka Printing identified the Winbosc Cloud hybrid press as being able to satisfy various requirements from short orders to medium and long orders, as well as fulfilling the growing market for personalized, variable data and anti-counterfeiting printing.